Taking great political campaign pictures requires attention to detail. Time, money, and votes – three things a political campaign can never have enough of. But there’s another valuable type of “campaign currency” that many political campaigns overlook: quality candidate photography. Over the course of a campaign, candidate photos will be needed for use across a variety of messaging platforms – direct mail, collateral, TV ads, and social media. History points to the power of images in their ability to shape public opinion. Many historians and political scientists are familiar with the September 26, 1960 presidential debate between Senator John F. Kennedy and Vice President Richard M. Nixon. Following the debate, those who watched on television felt that Kennedy won the debate easily, while radio listeners favored Nixon. To television audiences, Vice President Nixon appeared pale, clammy and somewhat disheveled. Senator Kennedy was said to look more “presidential” to voters. The lesson for today’s political candidate? How you present yourself in print and digital messaging should not be an afterthought. So what makes a candidate photo a great candidate photo? Let’s look at four keys to impactful political photography. During a shoot, allow conversation and interaction to take place naturally between the candidate and other individuals in the shot. This will enable the photographer to frame the best possible shot, while capturing natural emotion and avoiding stiffness and awkward poses. Great photos will show the candidate’s face in full view. 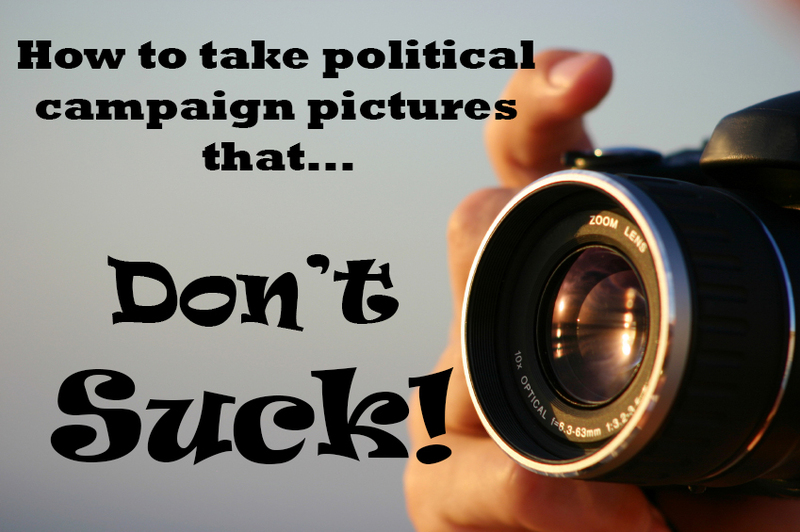 The candidate should appear alert and engaging in photos with other individuals. Anything that obstructs the view of a candidate’s face should be removed – things like some hats and/or sunglasses. And be careful with transition lenses that can darken quickly in bright environments. We’re not just talking about mixing blacks with blues, or whatever the rules are. Within reason, be sure that your wardrobe fits your setting. You want to look comfortable and cognizant of your surroundings. And this may seem counter intuitive, but don’t wear anything with your name on it – campaign polo, campaign sticker, etc. Leave your logo for the bottom of your push piece or the top of your web site. Remember that your photos will be viewed in kitchens and living rooms in which you may never set foot. Great photos will tell a voter about your personality, your values, and your sincerity without you ever saying a word.